" Buy the Shore "
"Professionals Helping People Achieve the Dream of Home Ownership"
Are you thinking of buying a home in the Brigantine, NJ, Atlantic City, & surrounding South Jersey Shore Communities? Finding the right home can be a difficult process but no matter what you are looking for, Carolyn & Lou Mogano can make your Brigantine real estate dreams a reality. We can provide you with the resources you need to make the home buying process simpler, from specific Brigantine, NJ neighborhood information, to tools to estimate your mortgage payments, and buyer resources and articles that will help you through the home buying process. 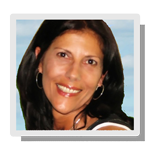 Thinking about selling or marketing real estate in the Brigantine, NJ area? Having a two-realtor team means you get twice the expertise. 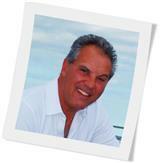 We have years of experience in Jersey Shore Real Estate, Property Management, Marketing and Investment. Use our marketing programs and Brigantine, NJ experience to help sell your home quickly and at the right price, or seal the deal on your seasonal rental properties. Learn more about our service, see information about recent home sales in Brigantine, NJ, or contact us to get started today! Are you interested in more Brigantine, NJ area details? Please take a minute and browse our local neighborhood and school details, real estate mortgage information and interactive maps for the Brigantine, NJ market. 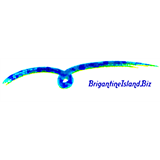 Thank you for visiting www.brigantineisland.biz! This is a one-stop real estate website for condos, homes, beach houses, town homes, and more in Brigantine, NJ, as well as Atlantic City New Jersey commercial property. We are long-time Brigantine Island residents who know the ins and outs, as well as where the treasure chests are buried! Call us today! 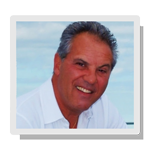 Whether you have questions about the Brigantine, NJ real estate market, or want to buy, sell, or rent a home in Brigantine, NJ, let the power of two work for you.